ROLEX GMT MASTER REF. 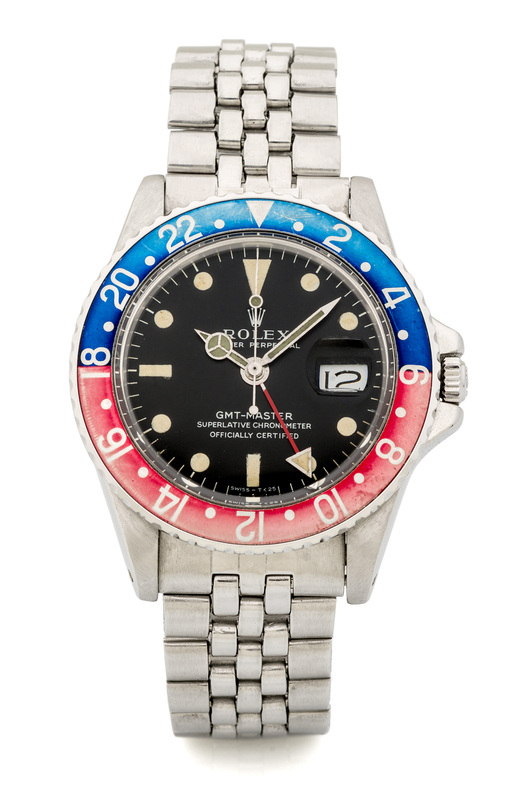 1675 RED AND BLUE BEZEL STEEL Fine and very rare stainless steel, self-winding two-time zone wristwatch. Bracelet Stainless steel Rolex Fliplock bracelet with deployant clasp, 180 mm.